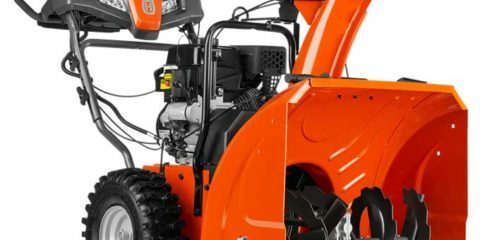 Jack’s Small Engines is arguably the best source for replacement parts for your old Jacobsen blower. If you know the specific part number you’re looking for, Amazon has a selection too. These include scraper bars, shear pins, belts, friction drive discs and more. Note that many of the replacement parts are labeled for other brands like Ariens and Snapper. Check in their descriptions to make sure they will work with your model. Jacobsen’s Imperial line offered models in 5, 7 and 9 horsepower, featuring two stages and both forward- and reverse-gear mechanisms well before others on the market offered the feature. The Imperial line also boasted a clearing path as broad as 30 inches. Gears for the drive assembly are a very common request. After this much time, the gears can be loose on the shaft that drives the wheels, potentially losing either forward or reverse motion. Loss of the reverse gear seems particularly common. A new belt (part #331325) needed for a 1975 Jacobsen Imperial, a fix ultimately achieved through loosening bolts holding the blower section to the drive section, enabling those pieces to be separated enough to get the belts past the clutch and drive gear. After that, the belts simply need to be routed on the necessary pulleys. Online users note the length of the replacement belt is most important if you’re subbing a nonspecific Jacobsen part. The tensioned idler takes care of the rest. The Jacobsen Sno-Burst is a two-stage, gas-driven walk behind that made an 18- or 20-inch clearing using, at least in the models we uncovered, 3hp. Using about 2.25hp, consumers have observed the Sno-Jet still threw quite a lot of snow, outperforming most heavier 4-stroke machines. Older models cut a 20-inch path, while later models cut a 24-inch swath.